My car is showing the effects of driving in winter weather. That means it is filthy. I felt better about how my car looked when I pulled up in a parking lot next to a 4-wheel drive vehicle that had obviously been doing some off-road driving. 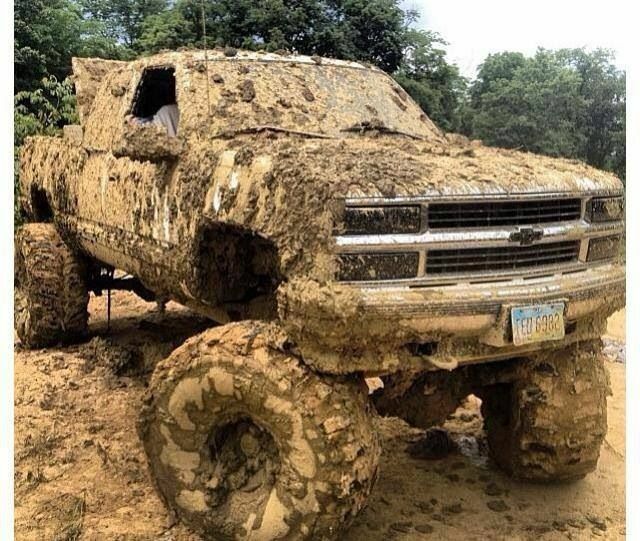 This vehicle was covered with a thick layer of mud. I wondered how the driver was even able to see through the windshield well enough to drive it! Jesus says we need to keep on the straight and narrow road. If we get off the road, sin muddies up our lives in various ways and makes it difficult for us to see how to navigate our way through life. Off-road adventures may be fun for those who like to drive 4-wheelers. But spiritually, we need to stay on the road. “But small is the gate and narrow the road that leads to life, and only a few find it.”—Matthew 7:14. This entry was posted in Christian Living, Communion Meditations and tagged 4-wheeling, holiness, illustration, Matthew 7:14, muddy vehicle, narrow road that leads to life, off-road driving, sin. Bookmark the permalink.